Showcasing unique local art in Gratiot's historic downtowns. The Art Expo is a collaborative project between the cities of Alma, Breckenridge, Ithaca, and St. Louis, and the Alma Community Art Center. The goal is to produce 100 banners, designed and painted by our local citizens and students. These banners are displayed on downtown lampposts in Alma, Breckenridge, Ithaca and St. Louis, creating a colorful and unique city streetscape. ​a date to paint their banner. Offered in June and August, our 4-day camps are a great opportunity for creative fun and meeting new friends. We meet Monday through Thursday from 10:00 - 2:30 at the Alma Public Library. Thanks to the generosity of community members and businesses, scholarships are available for Youth Art Camp. Application information will be included on the registration form. 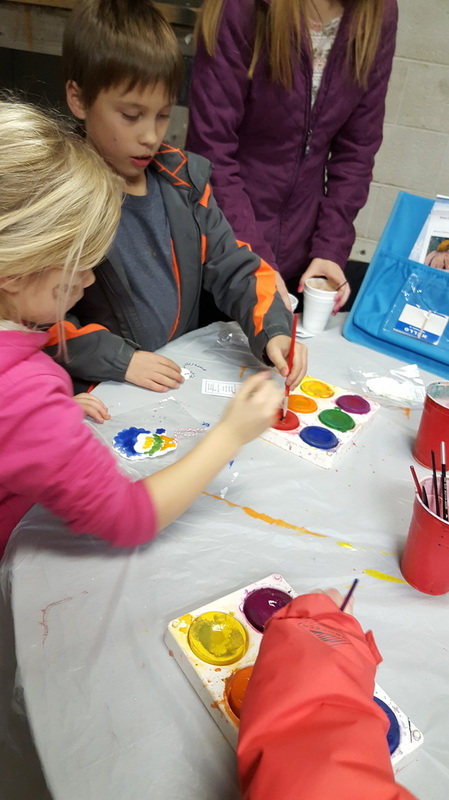 Information about ART CAMP will be available in late April/early May each year. ACAC offers monthly classes for residents of Masonic Pathways. If you or someone you know is a resident and is interested in joining a class, please contact Masonic Pathways’ Activity Director Lisa Godfrey. 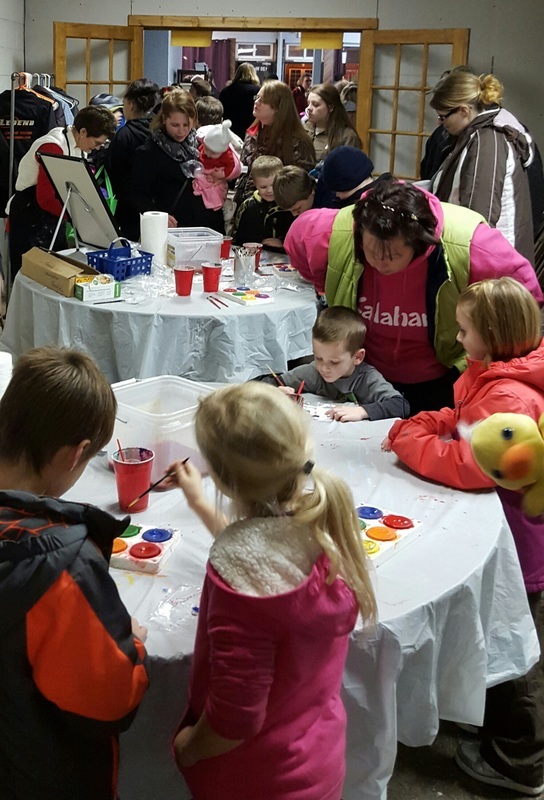 ​For the last several years, ACAC has participated in Come Home to Alma for the Holidays with a 'paint your own ornament' station. 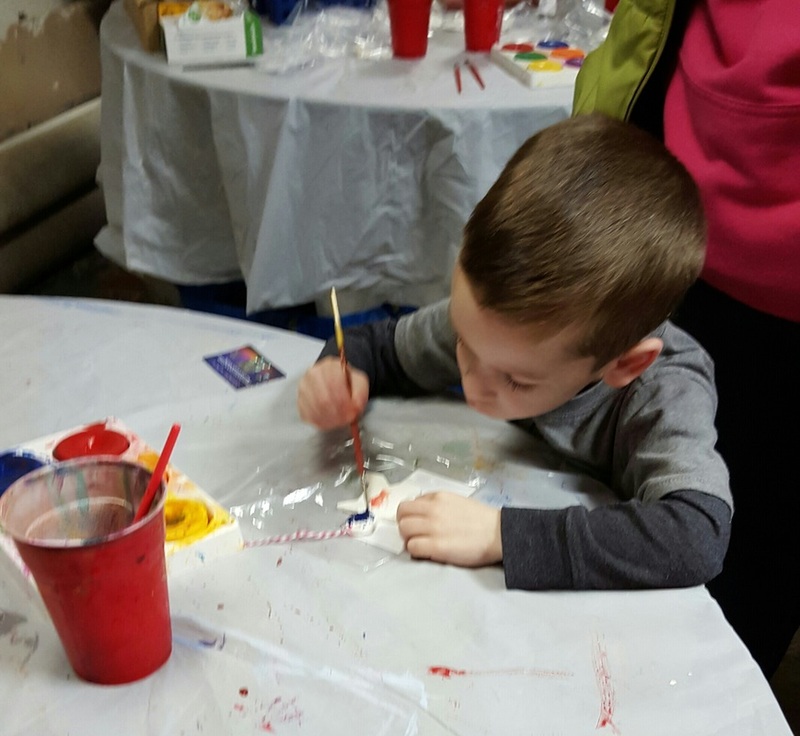 Hundreds of ornaments were painted last year, and a good time was had by all!